This is a list of the 100 or so British crossings of tidal waters. 9 of them have tolls. The list was last updated in July 2013. 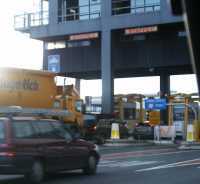 MERSEY TUNNELS ARE THE JOINT 3RD MOST EXPENSIVE. The list starts at the Mersey Tunnels and goes round the coast anti-clockwise.